At Boston Brokerage Group, we understand it takes more than great agents to ensure transactions take place in a timely and professional manner. This is why we have partnered with some of the best legal and financial professionals in the area to assist you in these aspects of the transaction. They are here to offer a personal touch, and provide the service and knowledge you can expect from Boston Brokerage Group. Rick Scherer is a Senior Mortgage Planner who has coordinated hundreds of transactions ranging from condominiums to commercial transactions. He has a variety of programs including FHA, MassHousing, and Construction Loans. Alavi + Braza, P.C. 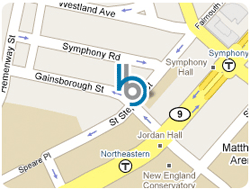 is a boutique law firm, concentrating on real estate matters and representation in the Commonwealth of Massachusetts. The firm’s culture and organization is based on a team oriented approach, by which attorneys, support staff and paralegals work as a team to accomplish their top priority: outstanding client support and service. Ali Alavi, Esq. is a managing partner of the firm and one of the top professionals in his field.